You want to make a site like CoinMarketCap.com? 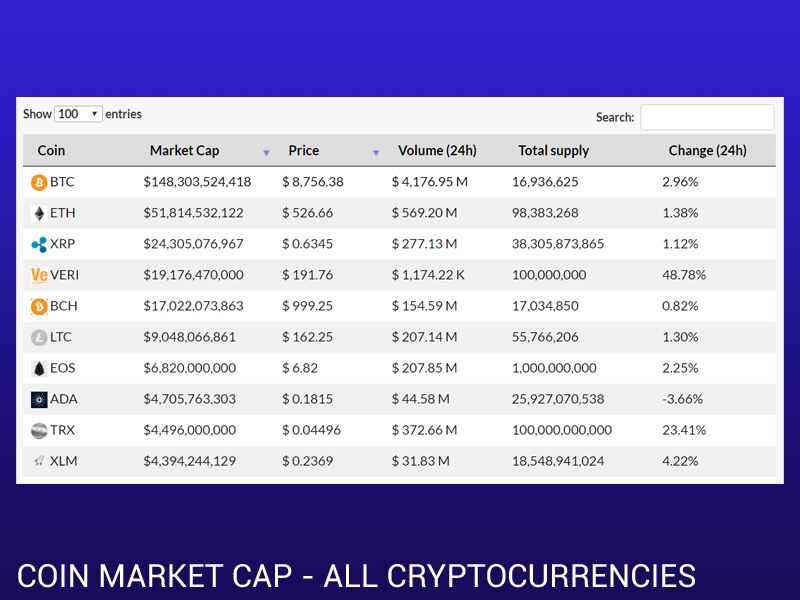 Such web sites take data from many cryptocurrency exchanges and aggregate it to show users useful information such as: cryptocurrency prices, market capitalization, top cart, exchange volume, etc. To aggregate so much data is a very complicated and costly process – in terms of development and server power. Fortunately there are more simple solutions. You can install a simple WordPress web site and a plugin, which will provide the Coin Market Capitalization feature out of the box. Cryptocurrency All-in-One is such a plugin. It works with any WordPress setup and theme and produces results similar to CoinMarketCap.com. The trick is that the plugin uses data from an API which makes things easy for your web site.